A man has died and eight people have been injured after a van ploughed into pedestrians near a north London mosque. 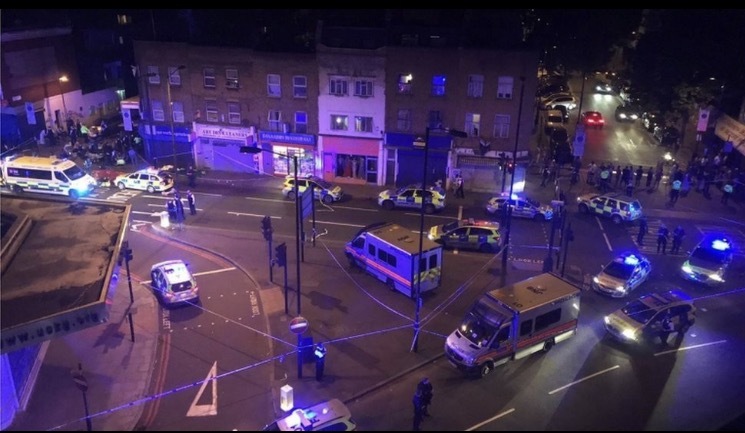 The van mounted the pavement and struck a group of people just after midnight near Finsbury Park Mosque in Seven Sisters Road. A 48-year-old man has been arrested. Prime Minister Theresa May said police were treating it “as a potential terrorist attack”. The Muslim Council of Britain said a van intentionally ran over worshippers.